HUNTSVILLE, AL--(Marketwired - Dec 18, 2013) - Many people feel self-conscious about their midsection, says Huntsville plastic surgeon Dr. David Durst. He explains that this is often due to excess skin in the area. For women, he says it is something that can occur after childbearing. However, Dr. Durst says many people experience this after weight loss as well. Dr. Durst notes that it's common for people to think they will be able to get rid of this excess skin through traditional diet and exercise, but these methods are not often effective. He says the only way to dramatically tighten the skin in that area is with an abdominoplasty. Abdominoplasty, also known as a tummy tuck, is a procedure in which the abdominal area is contoured through careful and precise tightening of underlying muscles, as well as removal of loose, inelastic skin. Any pockets of fat in the area are also removed using liposuction. Dr. Durst says the result is typically "a sleek abdomen with marked tightening that looks good in and out of clothes." For some patients, scarring from the procedure is a concern, according to Dr. Durst. He assures those considering the procedure that every effort is made to minimize scarring, but it can still occur. As a way to help conceal any scars after a tummy tuck, Dr. Durst says he carefully and strategically places the incisions. He says this technique is designed to allow patients to easily hide any scars, even in a two-piece bathing suit. Dr. Durst notes that the surgery is strictly a body contouring procedure, and is not to be used as a method for weight loss. He stresses that candidates for this procedure should be at or near their goal weight. Ultimately, Dr. Durst says this procedure can help restore a trim and contoured appearance, which can often help boost a patient's overall confidence. About David L. Durst, M.D. Board certified plastic surgeon Dr. David Durst is the co-founder of the Cosmetic Surgery Center of Huntsville. He is an active member in a number of prestigious professional organizations, including the American Society of Plastic Surgeons and the American Board of Plastic Surgery. Dr. Durst's private practice is certified by the American Association for Accreditation of Ambulatory Surgery Facilities. Dr. Durst is available for interview upon request. 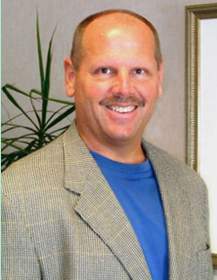 To learn more about Dr. David Durst and his practice, please visit drdurst.net or facebook.com/drdaviddurst.